The sleek FX Series design goes with any outfit, so you can wear them 24/7! Choose your favorites from dozens of color options. 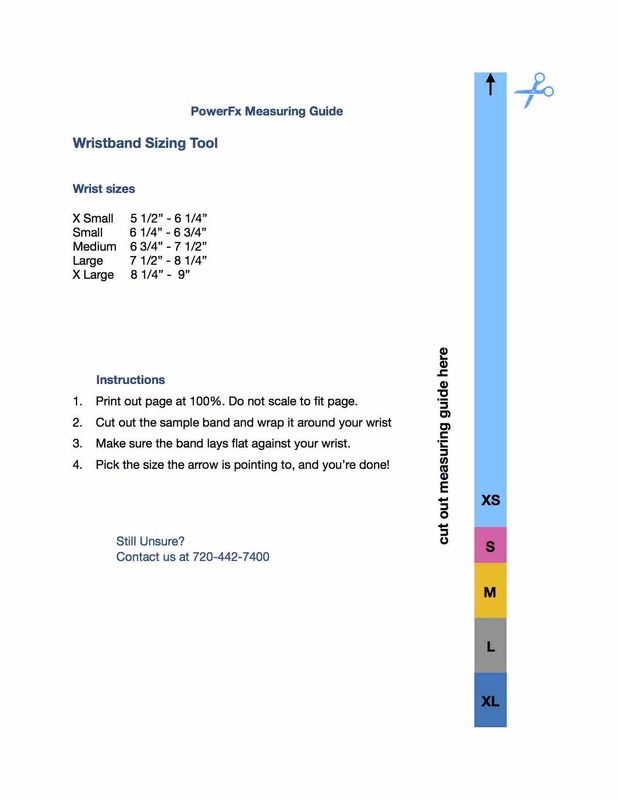 Each PowerFX Series wristband may give you the PowerFX effects of increased energy, balance, strength, relief from pain and protection from Wi-Fi pollutants in a single band. Made from smooth, stretchable 100% Surgical Grade Silicone with improved durability, it extends easily over your hand - you�ll love its style and comfort. Available in five sizes. Please review size chart and order one for every mood!